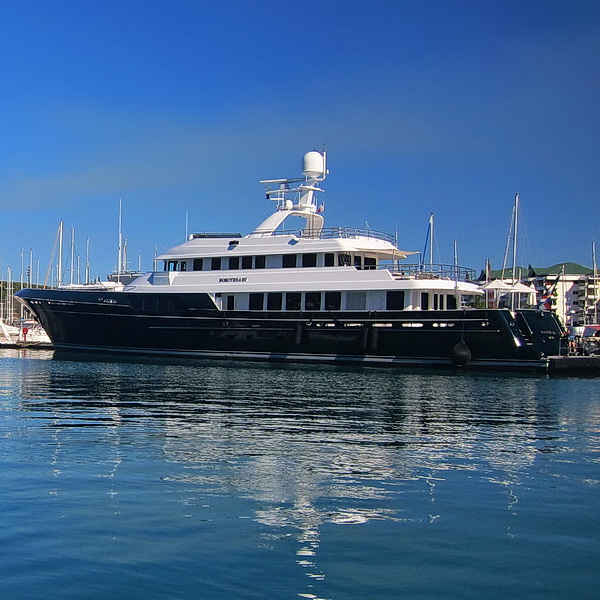 "Our yacht agent, Chloe Morin of Noumea Ocean facilitated all our needs and wants with no request being too big or too small." "Crossing the South Pacific offers a multitude of dazzling countries, islands, lagoons and reefs to enchant even the most discerning yacht owners, guests, Captains and crew. We have been fortunate to cross three times in the last fours years with our experiences and memories highlighting culture, diversity, stunning scenery, crystalline waters and spectacular cruising. On our first crossing we only made a brief stop in New Caledonia for fuel and provisions before continuing "down under" to Australia. In 2016 we decided to do more research about the region and came to the conclusion it was worth spending more time exploring, cruising and using it as base for minor repairs, crew holiday and prepping for our Eastbound return crossing. Noumea is a cosmopolitan capital that offered everything we needed as a base including a secure protected marina, a multitude of options for provisioning everything from food to parts and supplies, international flights, qualified tradesmen, restaurants and nightlife, recreation including hiking, kite boarding, surfing and a variety of cruising options to put together amazing itineraries for owner/guest trips. Our yacht agent, Chloe Morin of Noumea Ocean facilitated all our needs and wants with no request being too big or too small. New Caledonia has the world's second largest coral reef lagoon on Earth and you could spend weeks just hopping around the lagoon and cruising out to the Loyalty Islands. The Loyalties provided beautiful beaches and spectacular snorkeling/diving opportunities, but in my opinion the real wild beauty is found in the northern area encompassing the Entrecasteaux Atoll World Heritage Site cluster, recognized in 2013 as a 2,000-square-kilometer no-take zone and a fully protected marine reserve. Special permits must be obtained to visit this area (arranged by our agent), but it compares second only to the Galapagos (on a much smaller scale) in our experiences of up close and personal interaction with marine life (marine birds, Green sea turtles, fish and sharks). The small islands are breeding grounds and landing ashore is only permitted in certain areas, but the abundance of life is incredible both above and below the surface. If you're planning to cross the South Pacific it would be a shame to miss this delightful country with its tropical playground, warm hospitality, diamond-blue lagoon, expanses of red earth, secluded beaches and up close marine life encounters."